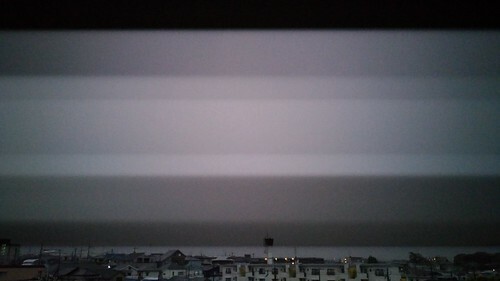 There was an enormous lightning storm the other night in Toyonaka so I jumped out onto my balcony to try to get a few pictures. Instead, the lightning confused the camera in my phone and all I got were a bunch of post-apocalyptic views of an alien prison planet. Welcome to the nightmare.